Dove Mountain is an upscale golf resort community located in sunny and warm Arizona. Located mere minutes from Tucson, Dove Mountain blends luxurious living with scenic beauty to create the perfect place for a retirement or vacation home. Along with luxurious living with scenic surroundings, Dove Mountain has a year round climate that is perfect for those who love warm weather. If you would like to spend your retirement years or vacation time living the good life surrounded by natural beauty, high class accommodations and the perfect year round climate, you may want to consider purchasing Dove Mountain real estate at The Residences at The Ritz Carlton, Dove Mountain. Nestled on almost 6,200 acres of canyons, mountains and foothills, Dove Mountain provides its residents with a peaceful and serene feeling that can only come from living in such a relaxing environment. No matter what your idea of fun is, Dove Mountain has something for everyone. If you are an outdoor enthusiast who finds enjoyment from hiking and communing with nature, Dove Mountain has ample opportunities for good times in the great outdoors. If you love to golf and want to retire or vacation in a place that is known for its prestigious golf courses, Dove Mountain has this, too. Because Dove Mountain is such a great place to live, there is a variety of luxury Dove Mountain real estate to be had. If you are thinking about purchasing vacation or retirement property and you want to live in a place that will give you a higher quality of life, you may want to seriously consider purchasing a luxurious Dove Mountain home. If you want to retire or vacation in a place that will provide you with the opportunity to experience immense pleasure on a daily basis, you might want to consider choosing from the wide variety of luxury customizable residences or estate homesites at The Residences. 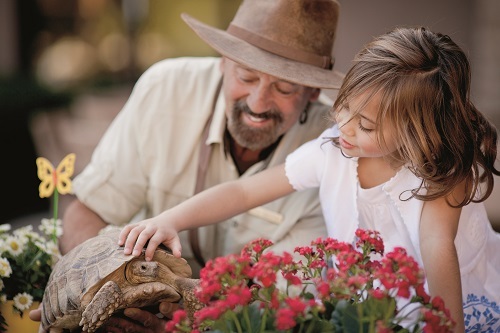 As all Dove Mountain residents will tell you, buying luxury Dove Mountain homes was the best decision they ever made. Not only does Dove Mountain offer a variety of fun outdoor activities to experience, but it is also home to a variety of premier golf courses. Add all this to the fact that Dove Mountain has a pleasant and enjoyable year round climate, and you will see just how valuable Dove Mountain real estate can be. If you want to retire or vacation in a place that will provide you with a luxurious first class life, you might want to consider purchasing Dove Mountain real estate at The Residences.